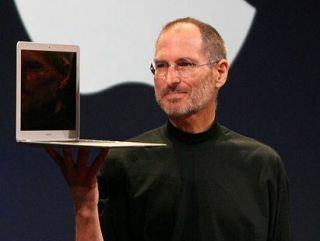 Just another of the problems Steve Jobs doesn't have to worry about while he's off. Apple's products may seem squeaky-clean, but a coalition of China's leading environmental groups has accused the company of damaging the environment and poisoning workers. "Behind their stylish image, Apple products have a side many do not know about, pollution and poison. This side is hidden deep within the company's secretive supply chain," says a statement released by the Green Choice Initiative. The latest report issued by the group looks at technology firms' open and responsiveness when their suppliers are accused of damaging environmental practices. Despite reports of poor working conditions, toxic fumes causing workers to fall ill and noxious waste being dumped, Apple has refused to comment directly or reveal any suppliers in its supply chain, using corporate confidentiality as its excuse. A further 28 tech firms were surveyed as part of the report and although none forced their suppliers to account for their waste, Apple was ranked as the least willing to provide data or answer questions about its suppliers. HP, BT, Samsung, Sony, Siemens and Alcatel were named the most responsive in the study.